LG has been releasing some pretty lame teasers made to get us excited about what they have in store for Mobile World Congress this month. While we’ve seen leaks, heard rumors, etc., we’ve been patiently awaiting word from LG on what exactly it is they’ll have for us. Well, now we know, as LG has officially taken the lid off the next generation of Optimus L series devices. As expected, there’s really not much to get excited about. Most of the devices are mid-range and probably won’t see the light of day here in the U.S., but if you’ve been curious about what LG could possibly come up with after the Nexus 4/Optimus G, then read the full presser below. User experience is enhanced with the high-resolution IPS display and extended capacity battery in the Optimus L SeriesII. 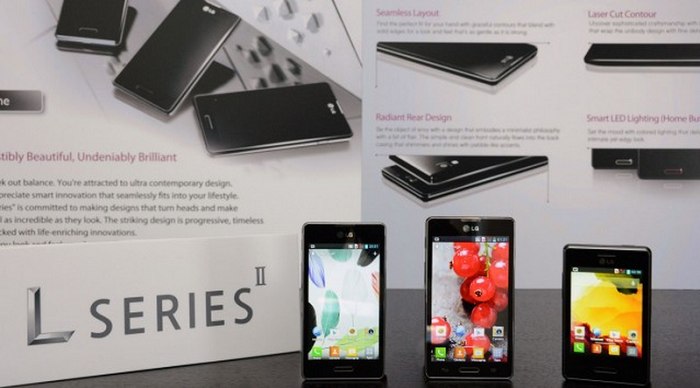 What’s more, Dual SIM versions of the Optimus L SeriesII smartphone will enable customers to use one device for both business and personal calls.